There are many paths and tracks that criss-cross the Hill and Common, including the Cotswold Way, that can be used for walking and dog-walking. 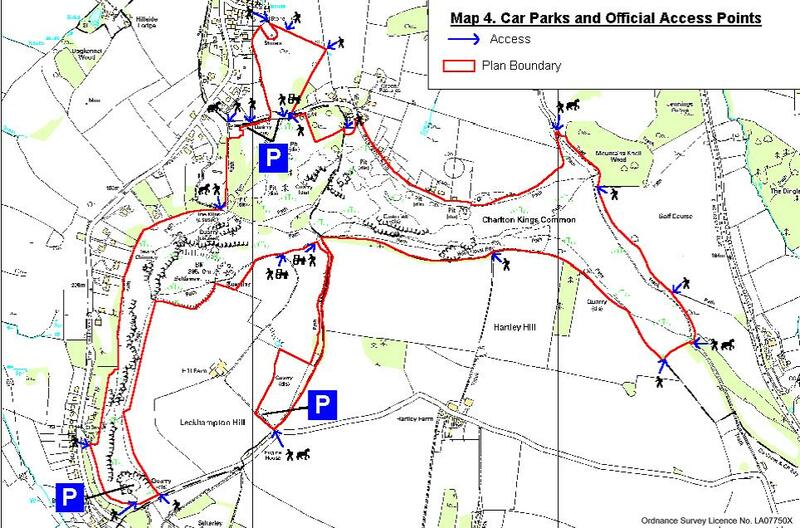 The public are free to roam across the Hill and Common but the official rights of way on the site are shown on the above map. 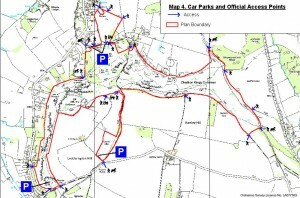 Walks on the Hill and Common can start from a number of car parks or via connecting paths, or access points, as shown on the map below. There is a short ‘walk with wheelchair’ route on Leckhampton Hill. Use this link to see a map and description.